On the NRC, the CPM attacked the BJP, saying the “misleading” statement made by the BJP president with regard to the exclusion of 40 lakh people declaring them “illegal migrants” will only “add to the fear and anxiety”. The CPM on Saturday indicated that it would enter into state-level alliances with parties to maximise pooling of anti-BJP votes in the 2019 Lok Sabha elections. The CPM Politburo, which met here over the last two days, decided to seek reports from the state units on alliances. A final call on state-level alliances will be taken next month. With incidents of lynching on the rise, it also demanded enactment of a comprehensive law in the current session of Parliament to meet the directions of the Supreme Court. It expressed concern over the “increasing intimidation of the media”, opposed the proposed National Medical Commission (NMC) Bill and decided to convene meetings of political parties in states and at the national level to discuss the issue of electoral reforms. “The imperative is to unseat the Modi government and ensuring that it does not return again to form the government after the coming elections. 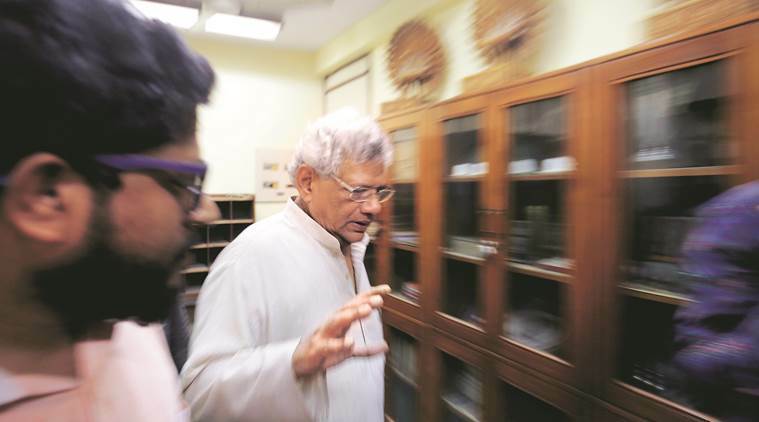 For these, appropriate tactics will be worked out by the state committees at the state level and on that basis the central committee and the politburo will finalise our electoral tactics next month,” CPM general secretary Sitaram Yechury said after the politburo meeting. Yechury said the BJP government’s “belated decision” to bring a Bill to reverse the March 20 judgment of the Supreme Court was not enough. “It is essential that in order to safeguard the provisions of the Act from any future misinterpretation and prevent its dilution, the Act should be brought within the ambit of the Ninth Schedule of the Constitution,” he said.